If you were to be caught in possession of marijuana today, you would be charged with a crime. It’s considered a disorderly persons offense and carries a possible jail sentence of up to 6 months, along with fines reaching $1,000, not to mention a criminal record. In moving with the changing tides of marijuana attitudes, New Jersey lawmakers have introduced two marijuana decriminalization bills, and either one would be a vast improvement on the current situation. According to NORML, one bill has already been passed by the Assembly and awaits a vote from the Senate. That bill (AB 1465) would reduce possession of 15 grams or less to a fine only. Another bill, (SB1977) is far more generous and would decriminalize up to 50 grams. Harmless plant or Criminal Act? If either bill passes it would be no more criminal record for pot possession charges. Instead, you would be ordered to pay a fine, similar to a traffic ticket. An editorial in the New Jersey Star Ledger suggests it may be time to “grab that jumbo bag of M&M’s and fire up the bong,” though we have to wait for lawmakers to make their move and then for the governor to sign any decriminalization bill. If they act according to the will of the people, it should be a no brainer. 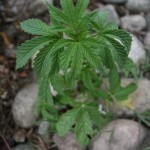 “The long-term shift in favor of legalizing marijuana has accelerated in the past three years. About half (52%) of adults today support legalizing the use of marijuana, up from 41% in 2010,” remarked a report from the Pew Research Center. For the first time, the majority of Americans support all-out legalization, and decriminalization is a long ways off of legalizing pot. To decriminalize the plant, you can still face penalties. It is still against the law, you just aren’t considered a “criminal” for violating that law. Legalization, on the other hand, means you won’t face penalties for having a stash and smoking it too. So, do these New Jersey bills have a chance? It’s possible. While Jersey’s medical marijuana program may have been slow to start, it’s finally getting its feet off the ground and many lawmakers are amenable to changing their long-held “tough on drugs” rhetoric. In the meantime, if you are caught with marijuana, expect to face criminal penalties. Contact my office today to discuss your legal options and how I may be able to help.